The past 12 months I have spent more time wrestling with Cloud infrastructures, Cloud security plans, and Cloud audit controls then I expected… While a tremendous amount of material has been produced on the challenges of Cloud computing I feel a voice of “reason” is valuable related to actual usage of cloud environments and working in the here and now. More pointedly, too much of our focus within risk and security is on the problems of the Cloud Providers (insert any definition you wish) practices, and not sufficiently on the operator’s requirements and needs. So, let me consolidate my thoughts below and save greater detail for future posts and (I am certain) lively discussions. Cloud Security Providers are just that – providers, and we need to work with what we are given to meet compliance, security, and operational targets. It is not prudent to spend time wishing for new security practices from providers (such as Amazon / Salesforce) – when we have (and have had) the tools to mitigate the risks that they present. I prefer to present this concept to colleagues that Cloud providers should be treated as the power company – trust them enough to get you power, and proactively plan for the rest. In this context we have breakers for our homes; power strips; battery backups, and a number of power cleaning solutions at the enterprise level. Direct / Console access to data – A concern related to Cloud service providers is the administrative capabilities that exist within the various Cloud deployments. This should be addressed through end-point security solutions that can be deployed on the given hosts (where applicable) and managed through data custodianship for data and application providers. An interesting result of the Cloud deployment is the velocity and fluidity of information demands better understanding and management of such information. Through proper data controls and maintenance the greatest risks can be reduced. Of course… it depends on your intent, industry, data type, and business…but this is a great place for consideration and thought. Safe Harbor – Washington state has amended their Data Breach statute to focus on large businesses, processors, and vendors to take reasonable care to secure access to account information. Most interesting is the Safe Harbor clauses – encryption OR an appropriate certification under PCI DSS within the past 12 months! This is in stark contrast to the situations where organizations that suffered data breaches were found to not be in compliance ‘at that moment’, and therefore paid associated fines. 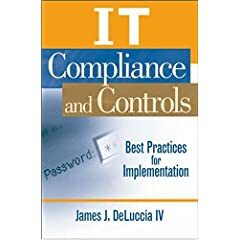 Massachusetts – effective March 1 2010, requires a comprehensive written security program in place. Minnesota and Nevada’s data breach laws are also highlighted in this article. The table is especially informative. States are moving strongly against Data Breaches and are referencing and supporting industry standards such as PCI DSS. Additional legislation at the Federal level for example: H.R. 4900, and H.R. 4061 (Cybersecurity Act – passed on March 2010 by the House and discussed here) are also being enhanced, and have the potential to create a larger framework of best practices for organizations to follow. Continued focus on appropriate risk management and threat models shall be more necessary as these laws mature and are amended.